Dates for the Remainder of the 2014-2015 School Year. 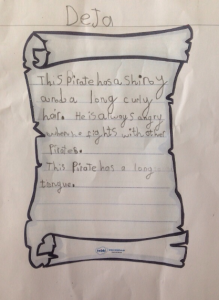 This half term we are learning all about Pirates! 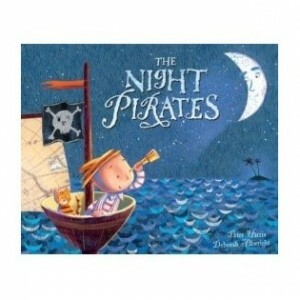 Our Power of Reading text is The Night Pirates. 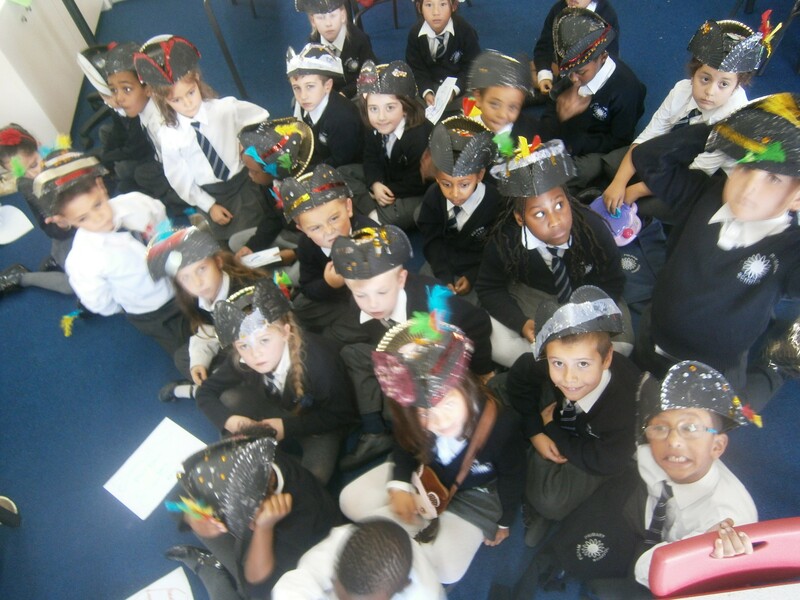 In the story we follow a brave little boy, Tom, on a pirate adventure. 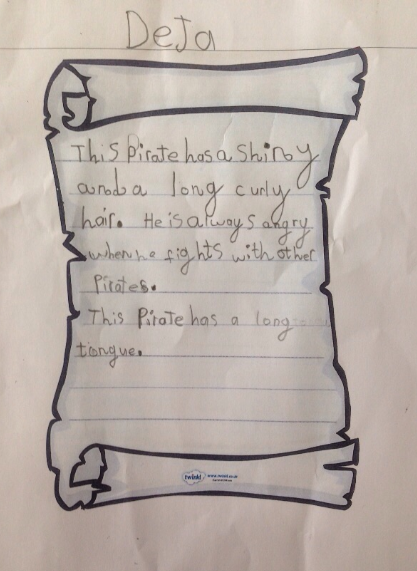 Deja wrote a beautiful description of one of the pirates. We made pirate hats with Miss Glenny; now we are ready for our own pirate adventure! 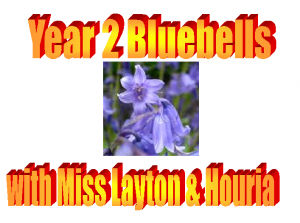 Come and visit our page again soon to find out what else we have been up to!